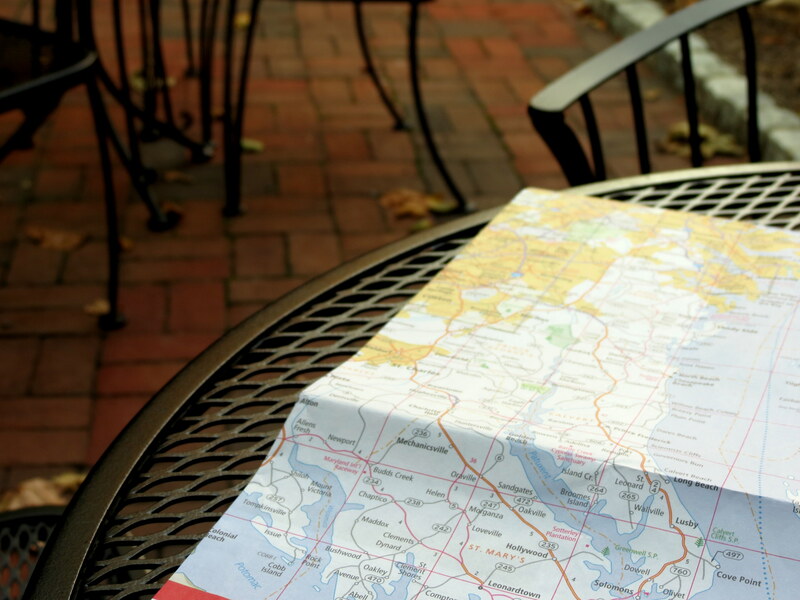 The courtyard of the B&B was the perfect place for morning coffee and for mapping out the day’s route. Yep, I am old fashioned enough to still use a paper map. I like to see the “big picture”, rather than focus on one small position on a screen. Today’s destination: Southern Maryland. 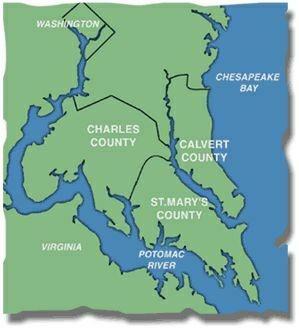 First, a little background: The region of Southern Maryland is a peninsula bordered by the Potomac River to the west and the Chesapeake Bay to the east, and is made up of the counties of Charles, Calvert, and St. Mary’s. Southern Maryland has a strong Catholic presence, as it was the site of the first Roman Catholic colonization in the America’s. I passed many historic and architecturally beautiful Catholic churches along my route. The peninsula also played an important role in the Civil War. Maryland was deeply divided. The areas of Southern and Eastern Maryland, especially those on the Chesapeake Bay, which had prospered on the tobacco trade and slave labor, were more sympathetic to the South, while the northern and western areas of the state had closer economic ties to the North. Historical markers and designations relating to the Civil War, in particular the Confederacy, are common. 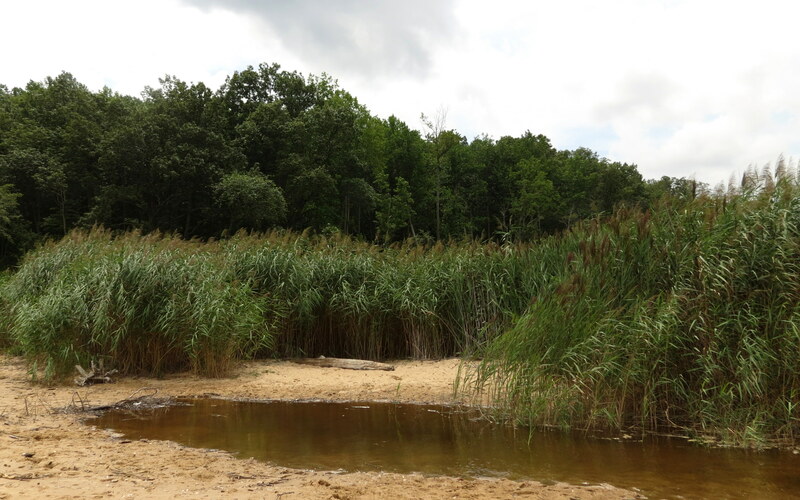 The journey began with a ride down Route 2, and a plan to stop at Calvert Cliffs State Park. 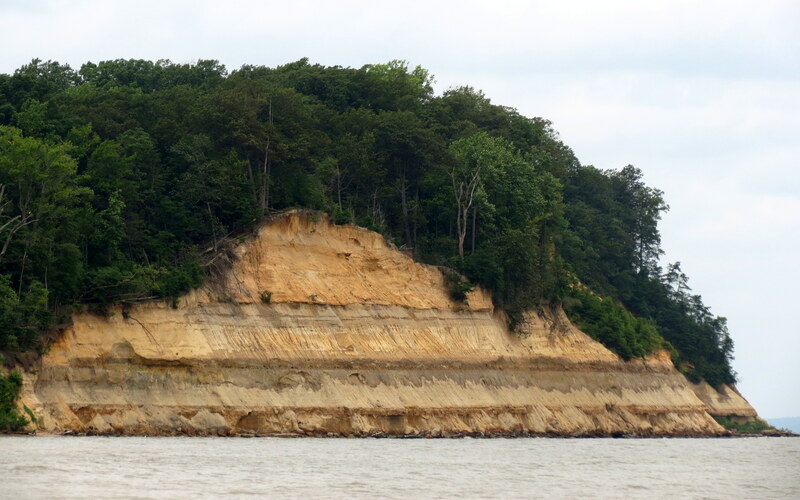 The cliffs dominate the shoreline of the Chesapeak Bay in Calvert County and a 1.8 mile hike is required to get to the cliffs. 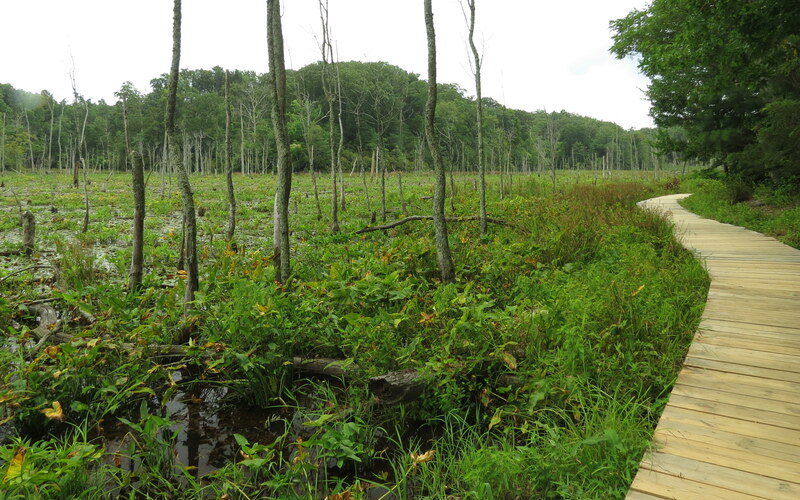 I walked the trail through wooded areas and on a boardwalk through a swampy, wetland area. 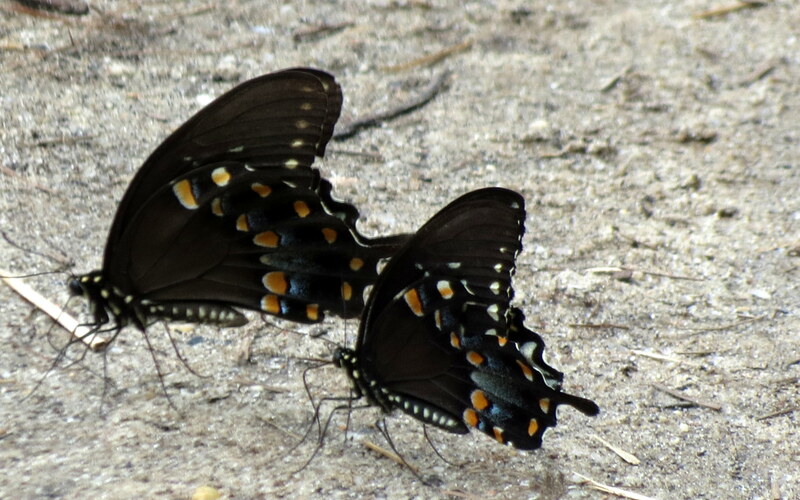 Butterflies and birds were my companions, as were families headed to the beach to picnic and hunt for fossils. 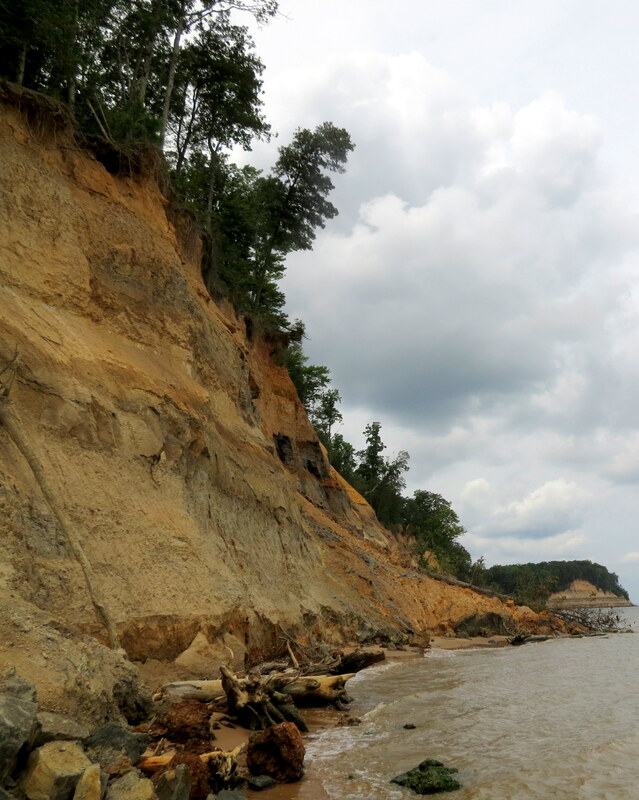 “Over 600 species of fossils from the Miocene era (10 to 20 million years ago) have been identified in the Calvert Cliffs, many of which can be found at Calvert Cliffs State Park. Chesapectens, Ecphora, Miocene era oyster shells, and sharks teeth are common finds” (http://www.dnr.state.md.us/publiclands/southern/calvertcliffs.asp). I loved this chair made from a tree that had fallen across the trail. 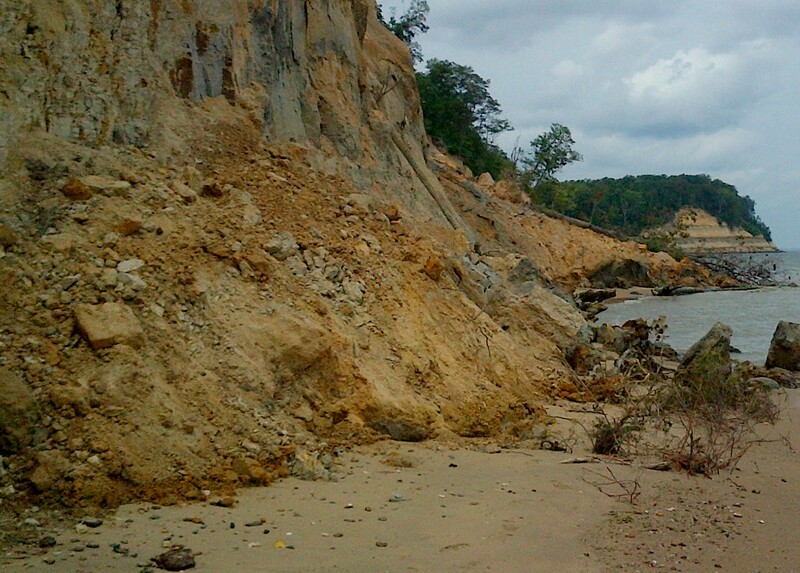 The reward at the end of the hike: The Calvert Cliffs! 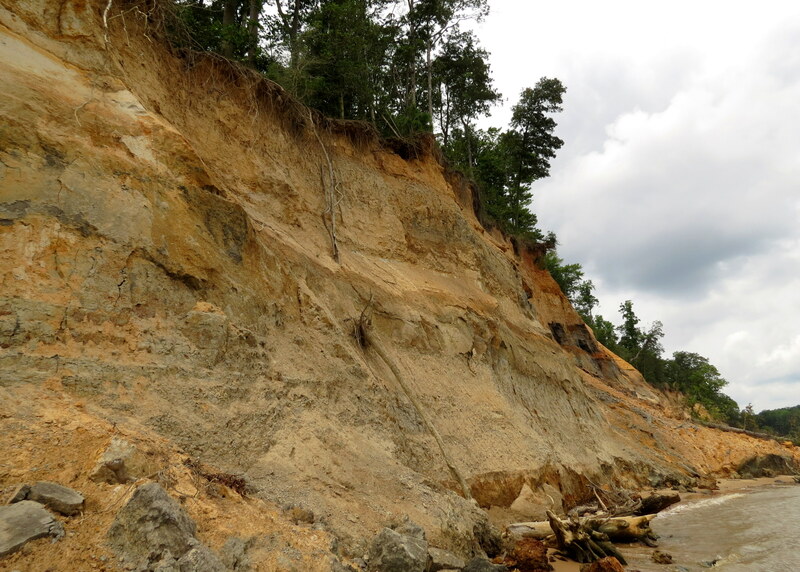 This next photo was taken with my cell phone and shows the recent cliff slide that had caused that portion of the beach to be roped off (of course, I just had to duck inside it to get a closer peek). As you can tell by the clouds, the rain was threatening. Blisters on my feet were also threatening as I didn’t anticipate this 3.6 mile hike in my beloved boots. Actually, the boots were not the problem … the thin socks were! I made it to the bike without seeing rain, but the outsides of both feet felt rubbed raw. As would any good Nurse Practitioner, I carry a first aid kit on the bike, and I was patched up and on my way in no time. The second part of today’s journey will come in the next post: Point Lookout and Historic St. Mary’s City. 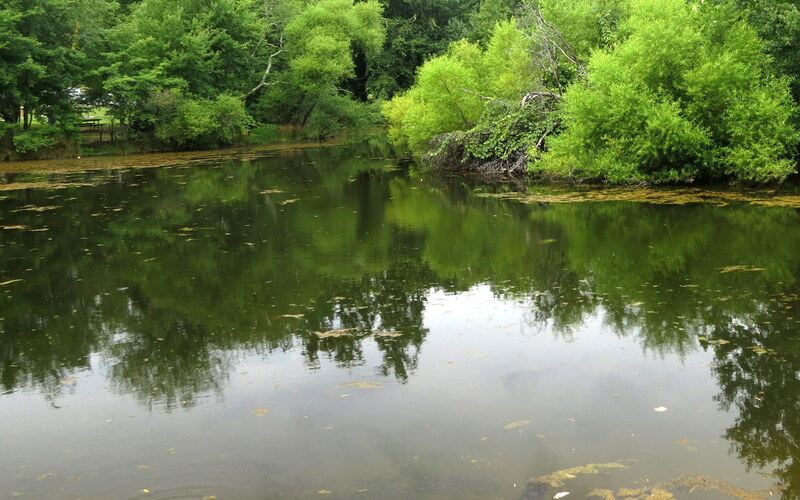 This entry was posted in Motorcycles, Photography, The Bike, Travels and tagged Calvert Cliffs, Civil War History, Fossil Hunting, Motorcycle Adventure, Photography, Southern Maryland, Travels, Women Bikers. Bookmark the permalink. Great photos and post LB. I love the way you start the post off with the maps and provide the history to the areas you visit and build your way through the trip. You know, I really appreciate you saying that, Joe. I sometimes wonder if that part just bores people, but the travel portion of the blog is like a journal for me. Someday when I may not be able to explore the way I do, i’ll be able to look back, read, and enjoy the trip again. I just told Mike, and now I’ll tell you … you guys just made my night! Thank you so much, Joe! Another very cool destination LB. Were the mosquito’s bad? 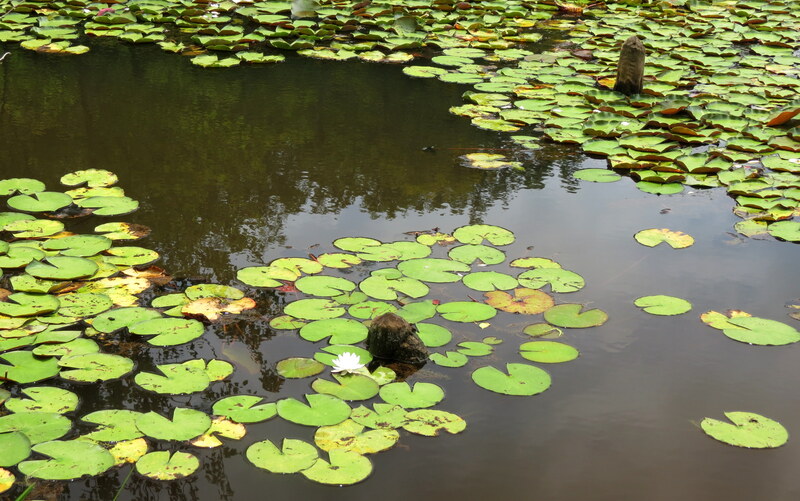 Is it fresh water or brackish being by the ocean? Your photo of the boardwalk was nostalgic for me and I enjoyed the perspective of it disappearing around the corner. I have a friend where we used to live that built a winding wood dock out to the lake so he could keep a small row boat there. We called it Saigon Pier and would head down there with our lawn chairs to drink his beer, LOL. Now see … I’d have been right there with you on the pier with the beer (ha! a rhyme!). Luckily, I did not have any problem with mosquitos, thankfully, because it was pretty hot walking out there and back. It was kind of a spontaneous hike, in my jeans and boots, and I probably should have changed before setting out. 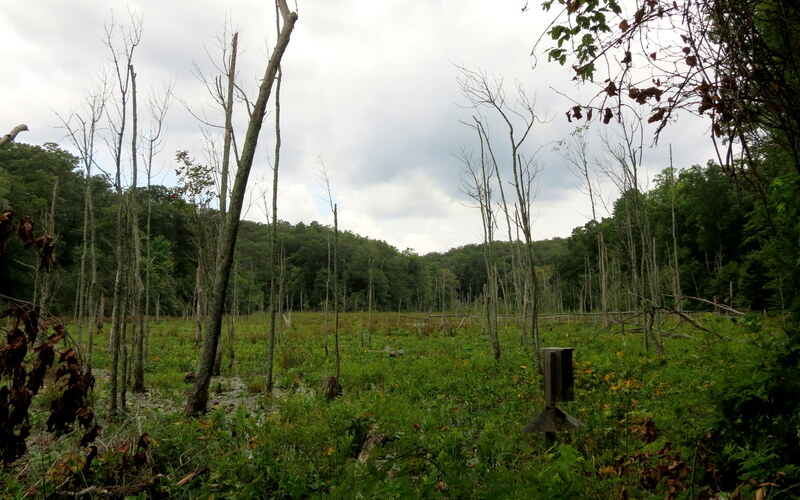 No regrets though … it was such a fun hike, with a great result! LB, I’m in agreement with Joe above. You’re such a good guide on these journeys. I am enjoying following along with you. 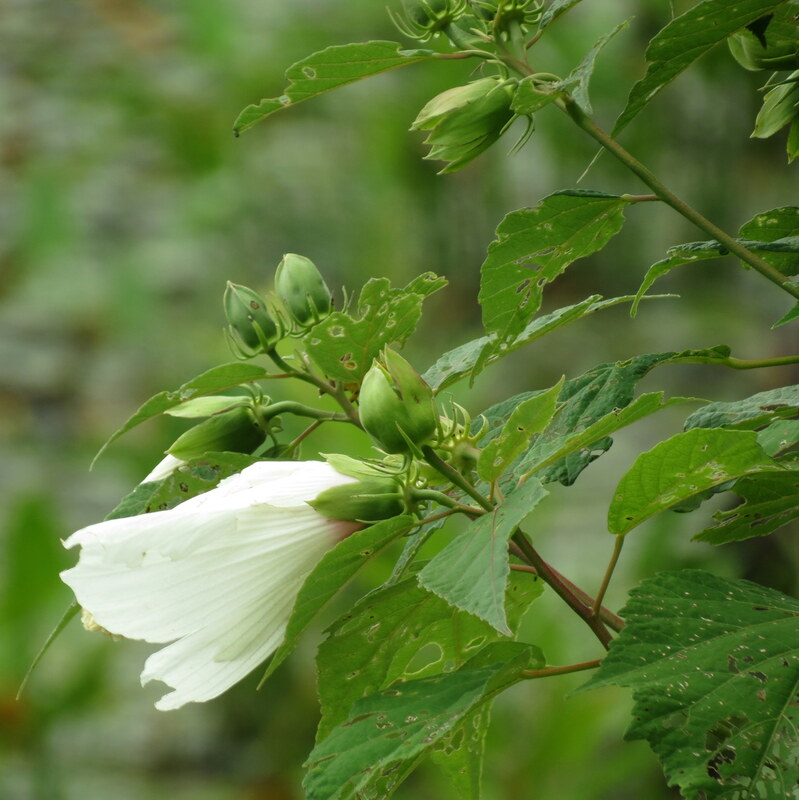 Lynda, thanks so much for following on the bike adventure. It means alot to know that there are folks out there (besides family / close friends who are interested). Nice post. 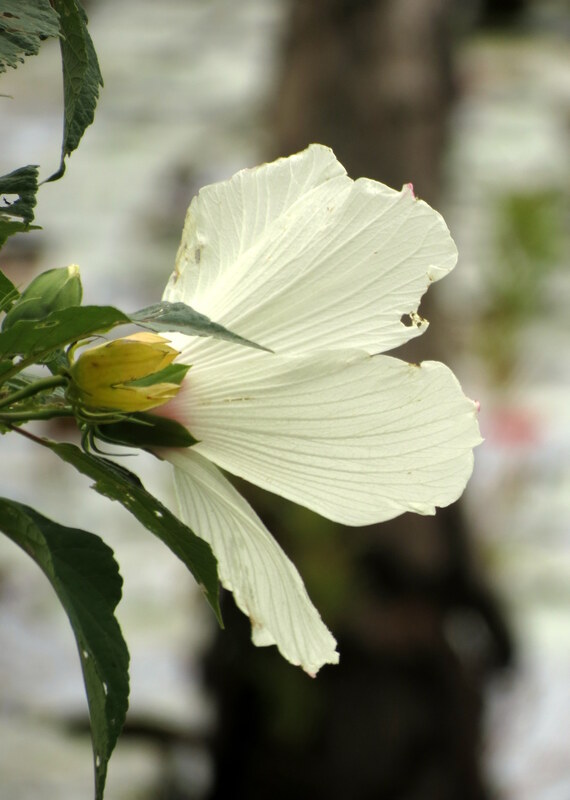 Your photo skills are very good with a natural sense of composition. I so appreciate hearing that, Mike! I’m learning …. slowly but surely!! Okay …not you just made my night!! Truly! 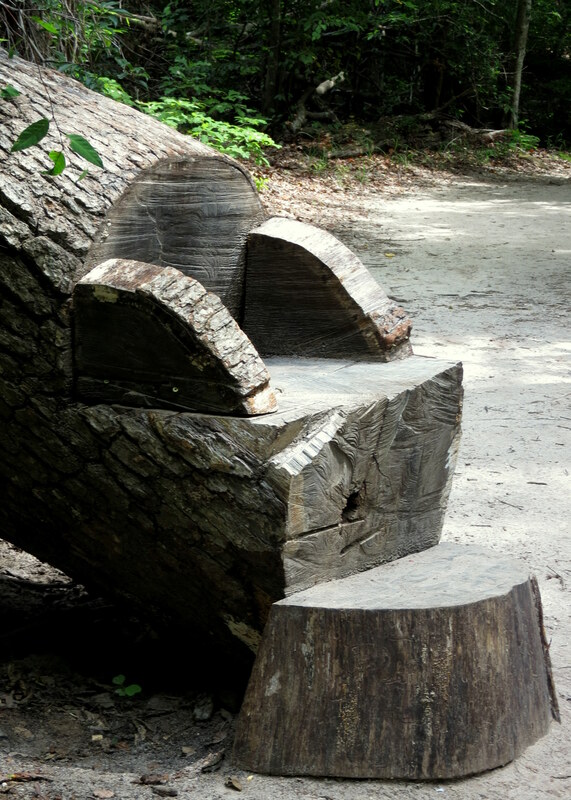 Your trip just continues to be amazing…the chair in the root of the tree….totally so cool! I love that, too! There was so much to see! Now I just need to improve my photography skills 🙂 I’m learning from so many bloggers, including you! Coming from you, that IS quite the complement!! Thanks Liz! I am just loving your trip! There is nothing as good as a nice paper map. I like thinks large and the cell phone just doesn’t capture it! Great photos and keep them coming! I used a paper map ast year when riding through Tennessee and on the last day, I accidently left the saddle bag open and the map flew out. In traffic. No chance for retrieval. I was so disappointed!! (and thanks so much for your positive comments, Mae). I’m enjoying your trip and love the photos! I’m so glad!! Next blog: Point Lookout State Park! Thanks! Thanks so much, Sharon. I’m grateful for the comment from an artist such as you! oh you planned your trip so well. love the photos… it takes me to where you were… stunningly beautiful ! thank you for sharing. I so appreciate your enthusiasm! I’d never been to Southern Maryland and I loved the ride!